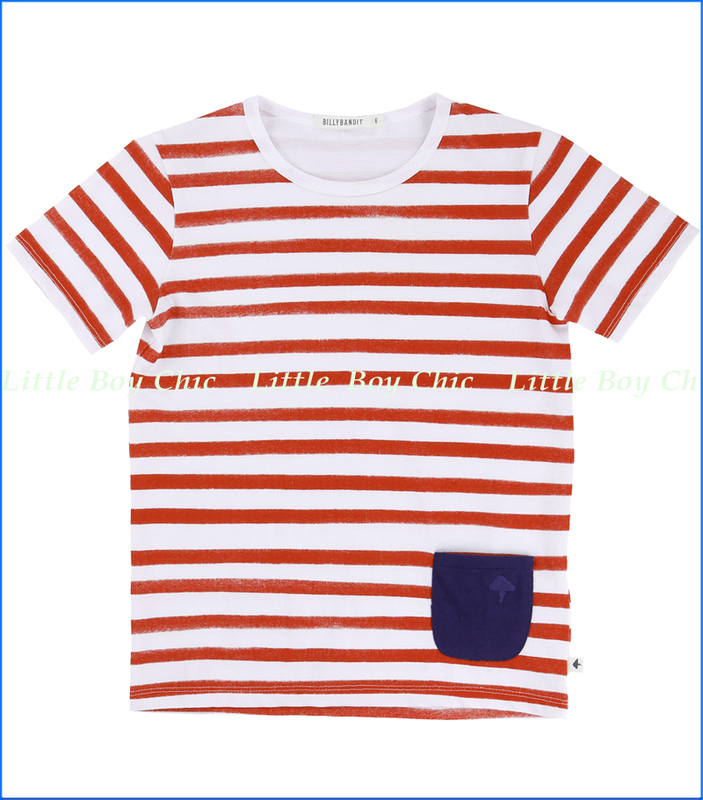 Bright and happy vintage style stripes pairing with an indigo patch pocket. Embroidered logo. Woven label at hem.